High silica needled mats are used as insulation in high temperature applications like heaters, furnaces, foundry devices, exhaust systems, catalytic converters etc. Similar to ceramic fibers, high silica needle mat is used for applications whose temperature is too high for e-glass (650 degrees C and above). 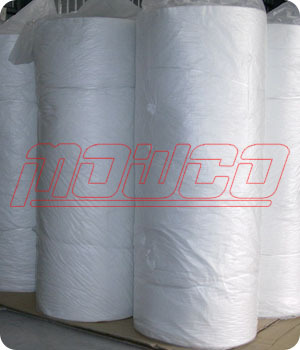 However, ceramic fiber should not be used if the high temperature application vibrates. 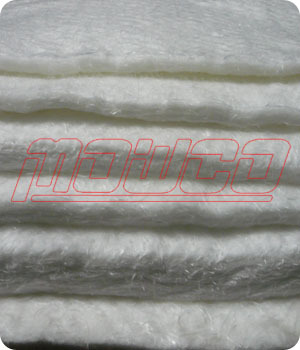 Ceramic fiber blankets will lose much of their thickness and density when the product's shot and short fiber shakes to the bottom of the blanket due to vibration. Silica mats do not have this disadvantage. High silica needled mat starts where other fiber glass mats have their limits. 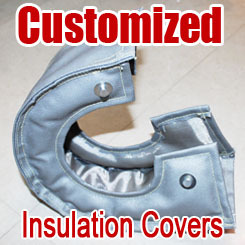 It is designed to be used in high temperature surroundings of up to 1800 oF (982 oC) continuous heat. It can even last temperature peaks up to 2300 oF (1260 oC). Furthermore the high silica needled mat offers enhanced tensile strength, stiffness, and radar transparency to standard E-Glass mats. 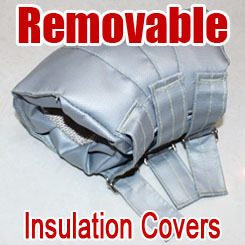 Of course it embraces all the benefits of our line such as excellent thermal, acoustic, and electric insulation features, incombustibility, and no decomposition. 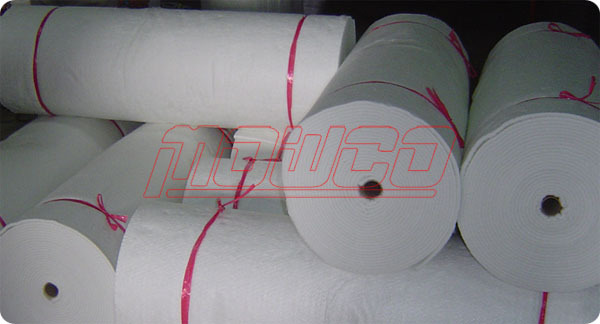 MOWCO’s high silica needled mat is available in thicknesses between 1/4 inch and 1 inch. Non-alkaline (<0.01%), low chlorides and fluorides.